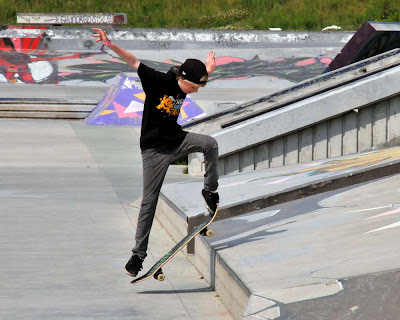 The Ashbridges Bay Skatepark at Lake Shore Blvd East and Coxwell Avenue is a well used outdoor sports facility - one of several in the City of Toronto. Other skateparks are located at Alexandra Park, Dufferin Grove Park, Ellesmere Park, Greenwood, Eighth Street, Stan Wadlow, Vanderhoof, Cummer, Port Union, Wallace Emerson and Toronto Underpass Park. 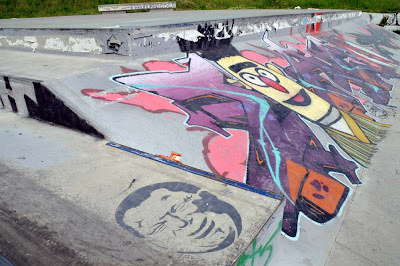 Check out Skate Park Rats for pictures and locations of many of the parks. 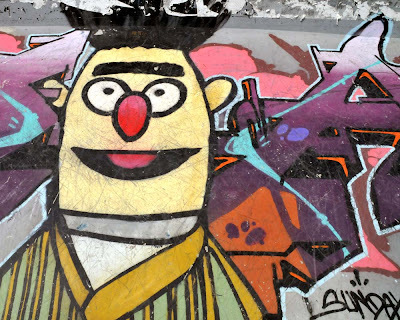 Usually used by bikes, skateboards and as backdrops for graffiti murals, they are rarely empty, and can provide entertainment for those that use the parks and those that watch the action on the concrete, stairs, jumps and other assorted obstacles.